I thought this was an awesome read! Mystery, suspense, sexual tension, add in a cute as heck kid and you have Dirk and Megan's story. We first met these two in book 1 of the BOSS, Inc series and now they are being reunited under very strained circumstances. Megan knows she hurt Dirk when she broke up with him but she thought what she was doing was for the best. Now she desperately needs his help. Her son has been kidnapped and she knows that if anyone can find him and get him back it's Dirk, hopefully he'll put aside his feelings for her and help. This is a wonderfully done story and a book I highly recommend. Kat Martin does it again! I could not put this one down and read it in one sitting! Not surprising, since Kat Martin's books have had this effect on me from the begininning. I love books featuring a strong and loyal alpha male along with a scared but scrappy and undaunted female; add in a kidnapped child and a group of secondary characters that add color and suspense to this sensual love story and you have story telling at its best. This was the 2nd book of the B.O.S.S. series and can be read as a stand alone with no cliffhangers. I LOVED it!! Into The Whirlwind is a magnificent read. It has plenty of action, drama, humor and sizzle that kept me glued to my kindle from cover to cover. 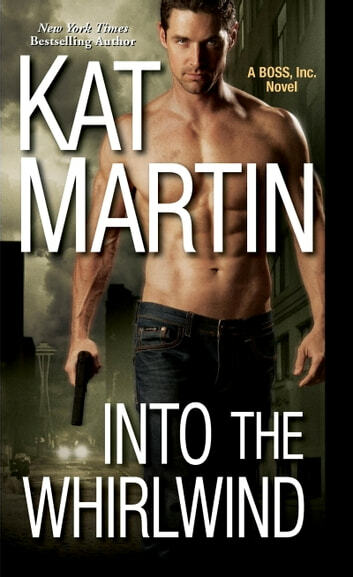 Kat Martin has given Into The Whirlwind fantastic, lovable characters that made this book into a wonderful reading experience. Meg and Dirk's story kept me on the edge of my seat. Ms Martin's writing skill shines through in this book and I look forward to reading more from this talented author in the future. 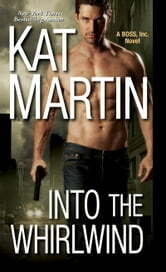 Into The Whirlwind is book 2 of the BOSS, Inc. Series but can be easily read as a standalone. This is a complete book, not a standalone. I only wish I could give it 6 stars! I received a copy of this book from NetGalley for review purposes.